I’m back on night watch. This time we are sailing 500 miles southwest to the largest group of atolls in the world, the Tuamotus. Brian just went to sleep but tonight I have a companion. 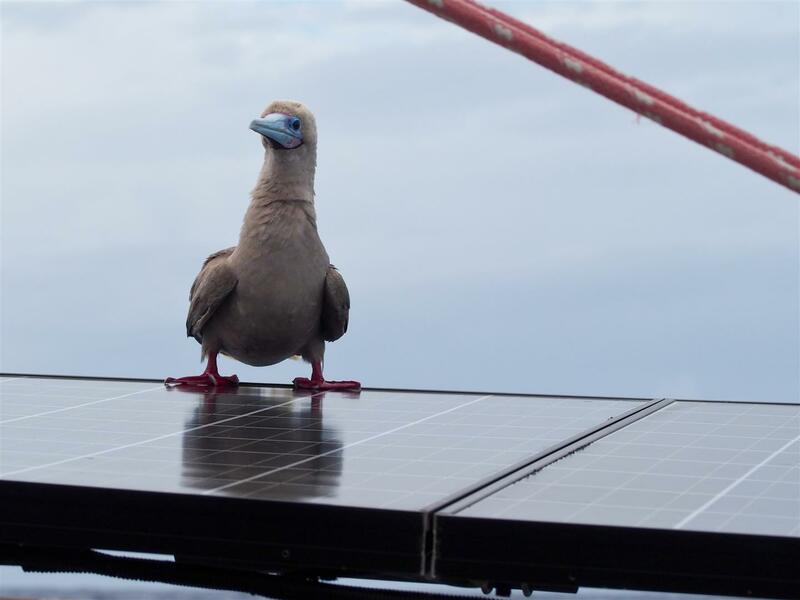 A medium sized seabird, a Booby, chose to spend the night on Magic. 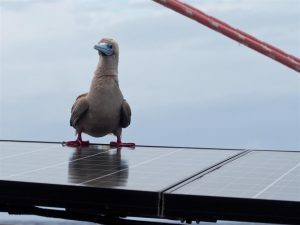 The Booby settled onto our solar panel late afternoon yesterday and hasn’t moved since. It wobbled around for awhile, getting its sea legs, and now it’s roosting in a light rain. It’s head is tucked against its wing. I can see it from where I sit and it definitely makes my night watch more fun. I hope it stays with us throughout the five day passage. The Marquesas were great and we spent much more time there than we planned. 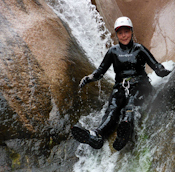 It’s not the best destination for diving because the water is often murky. 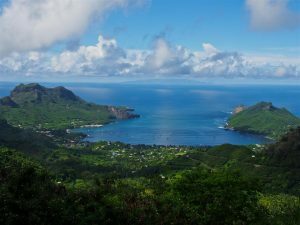 We still ended up exploring Nuku Hiva for three weeks. The friendly attitude of the locals, the fascinating fruit and the manta rays were incredible highlights. The lesson of the Marquesas was to keep an open mind about each new landfall. Now we’re headed to the Tuamotus, with white sand, palm trees and very clear water for diving. This sounds like paradise. I can’t wait to be anchored in a turquoise lagoon surrounded by fish and coral. But first night watch, with my Booby companion. Just a couple more nights at sea.